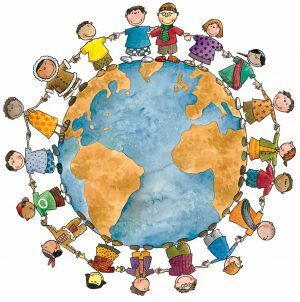 The annual full-day meeting of the Human Rights Council on Monday, 5th of March 2018, gives a special attention to the rights of the child. This meeting gives an opportunity to discuss how the fulfilment of the rights of the child can contribute to the achievement of the 2030 Agenda for Sustainable Development. It shows the importance of integrating a child rights-based approach, good practices and challenges. The goal is to leave no one behind and reach the furthest behind first. The number of violence against the right to life, the right to education, right to healthcare increased. Many refugee children and immigrants are separated from their families. In many cases they are recruited by armed forces and are victims of sexual exploitation and abuse. During the annual full-day meeting the States made a wide range of recommendations. The following are conclusions of all recommendations. Support the children’s rights – which apply to all children, in all situations – particularly those who live in humanitarian emergency situations. Avoid all forms of violence, strengthen networks between communities and institutions, fight and change gender stereotypes and also create long-term solutions. In particular, emphasis was placed on the importance of protecting education, schools and universities from military use, guaranteeing the protection of children, including non-violence, clean water, adequate food and shelter and supporting programs for the psychological rehabilitation of children. Also promote activities for and with the involvement of children, empower them to be effective members of society and give them a voice. Special attention was paid to the situation of refugees, suggesting the elimination of a wide range of forms of discrimination, strengthening national protection and considering them as citizens of their own country. It seemed essential in this regard to ensure inclusive education for all, and take appropriate measures to promote the best interest of the person. UNICEFs program which supports the reintegration of children and combats gender violence. Two programs on children: “Campeones y campeonas de cambio” and “Usa tu poder para crear paz” promoted by the Permanent Mission of Colombia. The “Our Rights” initiative created by the Permanent Mission of Slovenia. The discussion during the day showed that there is a wide range of programs to support children’s rights, while noting a lack in health care, education and attention to children and adolescents living in situations of humanitarian emergencies.